The story of The Hobbit continues with The Hobbit: The Desolation of Smaug! 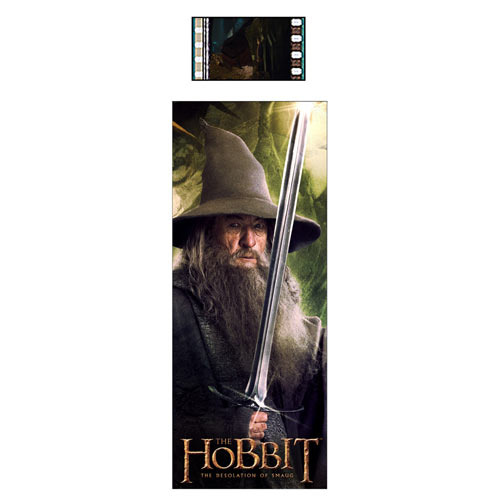 Boasting a real clip of film from the movie, The Hobbit The Desolation of Smaug Gandalf the Grey Bookmark features the powerful wizard Gandalf holding up his sword, Glamdring. Measuring 6-inches tall x 2-inches wide, this is the ultimate bookmark for The Hobbit and The Lord of the Rings fans! Measures about 6-inches long. Ages 10 and up.